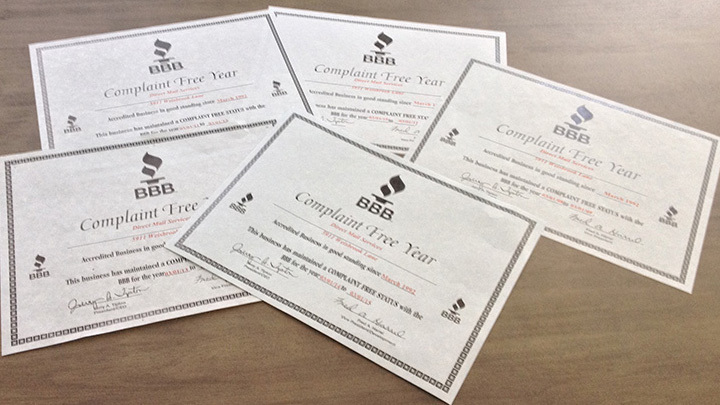 Direct Mail Services maintained a complaint free year from the Better Business Bureau for the past year and have been complaint free and in good standing since 1992. We want to thank our loyal customers for giving us the opportunity to handle their mail. We look forward to assisting you and your mailing needs for the coming year. Please contact us if you’re considering a mailing campaign.